Home eLearning Is Your Employee Training A Waste Of Time And Money? First of all, let’s start with defining what employee training is. In the most general sense, it can be explained as providing your employees with the necessary information that they need in order to do their job better, or, if they are new to it, to do it at all. The problem is that a lot of companies see employee training as an additional cost that they need to add to the bottom line. As a result, during the periods when the company experiences slowdowns, training is one of the first things that is checked off the list in order to save money. Now, while training is costly, the fact remains that untrained staff is going to do a lot more damage to the productivity of the company, and of course, the bottom line. Simply showing your employees how a task needs to be done cannot be called professional training. So, one would argue that it is quite necessary. However, there are certain issues that lead to opposing views when it comes to investing in employee training. In this article, we are going to discuss them, and try to answer the question whether it is all just a waste of time and money, or is there more to it than that. There are certain arguments stating that employee training really can be a waste of a company’s time and money. However, what is important to underline is the word “can”, as these arguments underline the negative aspects of particular training plans that are flawed and don’t actually serve as an improvement for the workforce. There is a great number of training programs that focus on implementing new skills. It is very important to note that they are usually only effective if a person can easily try them out and achieve positive results. Ineffectiveness lies in those training programs which gloss over the fact that it is most often the case for people who cannot see immediate positive results of their actions to just give up and go back to the way that they have been doing their jobs before. This is because they need to feel confident about what they are doing and not see their work as a failure. Managers need to play a big role when it comes to this. Other training programs intend to implement new knowledge. However, bonus knowledge rarely affects how people behave. It can be compared to any bad habit – people know that it has a negative effect on their health, but they keep on doing it anyway. Therefore, changing one’s behavior requires more than just providing knowledge. There are also such programs that intend to teach new mindsets which are crucial for modern businesses. For example, certain training programs are set up with the goal to teach employees to be more creative, open-minded, positive, comfortable with failure, non-judgmental, and so on. The problem is the same as in the previous paragraph – when this is shared as simply knowledge, it can hardly be adopted as behavior. On top of all this, a lot of training programs take place at a table, where the employees sit around and listen to the training elaborating on important subjects via slideshows and flipcharts. In this kind of setting, people quickly start feeling drained and lose interest. Next to all of these arguments against employee training, the fact remains that it is extremely important, and actually can be of use if it is implemented properly. One of the most important things to keep in mind is that learning has to go together with active engagement. Knowledge doesn’t lead to change on its own. A training program has to be both actively and emotionally stimulating. People need to experience things and receive proper feedback in order to truly change their behavioral patterns. The job of a trainer is to create a valuable learning experience. 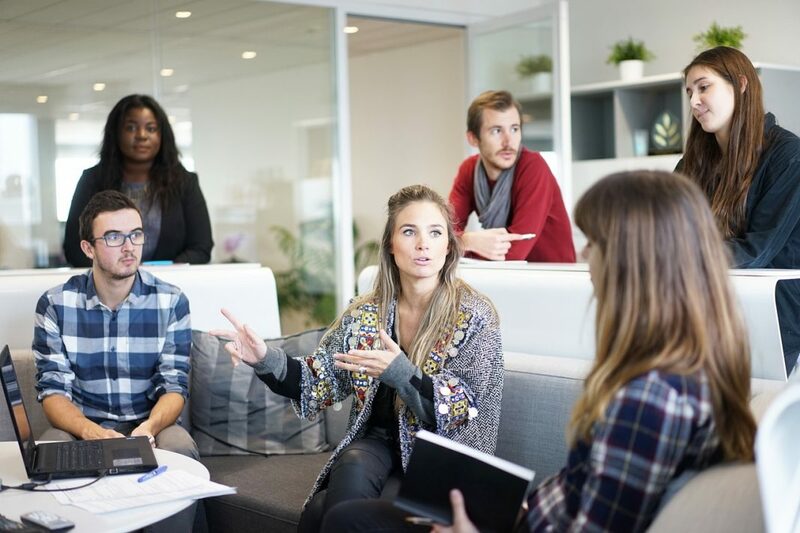 When your employees come into situations where they, for example, share something personal in a supportive environment, they will most likely do it again. If they experience a negative outcome of a wrong choice first hand, they will know that they need to change something. Of course, this is where they require the necessary support. What they really need to learn is that every experience is a part of the learning curve, and that every action results in a corresponding reaction. Otherwise, training really is just a waste of time and money. So, what we can deduce is that employee training is necessary. It just has to be applied properly. If you do everything right, you can gain a significant competitive edge over other companies, because your staff is going to be confident and dedicated to achieving the company’s goals and fulfilling its vision. They will also trust you more and be more loyal, which is an essential aspect of every team. Furthermore, with the constant changes in the market, every company needs to be flexible, and a proper training program can enable your staff to be able to adapt to the changes a lot easier. Furthermore, the importance of proper employee training doesn’t just apply to personal or team advancement. Take into consideration other kinds of situations, such as employee wellness and security. Depending on your industry, if your staff isn’t properly trained, there is a possibility that they may end up getting seriously injured or creating an issue that will cost you a lot more than any program out there. This is why it is important to turn to professionals, such as Sydney Rescue Consultants, because it is very important to educate your employees about various safety measures, especially if they are working at heights, with hazardous materials, and so on. In the end, what we can deduce is that employee training programs are essential. All the arguments against them are based on flawed approaches that one should avoid at all cost. Your staff needs to learn through experience, and adopt new behavior patterns as a result. Otherwise, all that you are going to get is a school-like environment where the teacher is reciting the information and the students get bored because the class isn’t engaging at all.